The following charts demonstrate low timeframes, but the concept is applicable to ALL timeframes and ALL markets, provided they offer sufficient liquidity to ensure smooth price flow. 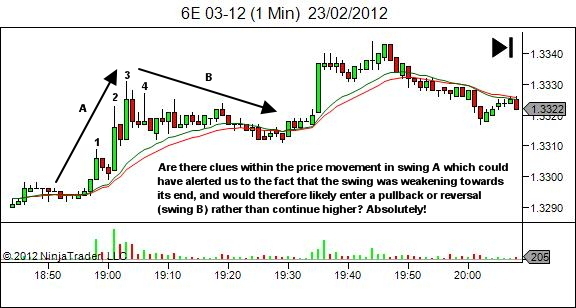 The way price moves offers clues to future direction! You just need to learn to read it! This article does not provide you with answers. However it does point you in the direction for more effective self-learning. 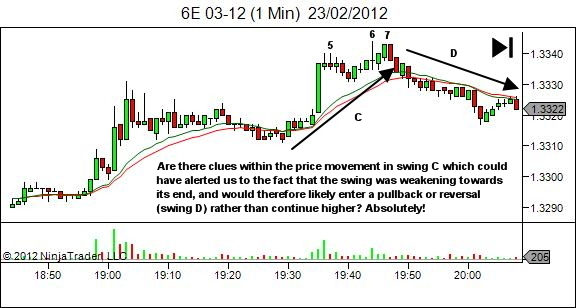 Examine changes in price swings; in trend extensions and pullbacks. Observe how those changes lead to changes in nature and direction of the trend, or even a change of environment. 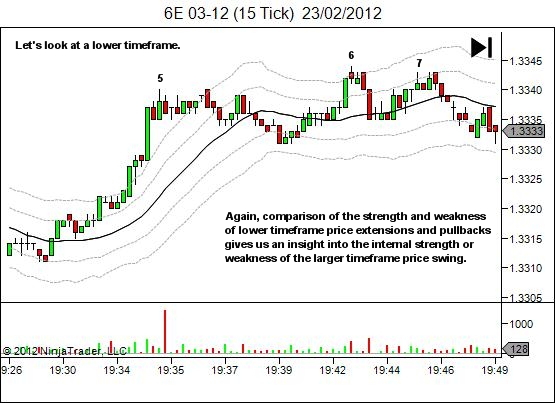 Your own critical analysis and review of charts will teach considerably more than I can offer through written word. PS. 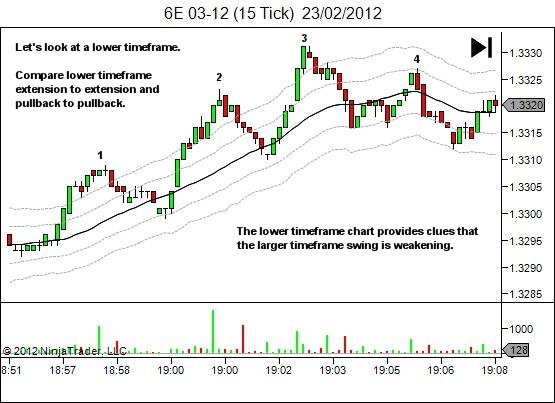 For YTC Price Action Trader readers, see the following sections: Volume 2, Chapter 3, Sections 3.3.1 and 3.3.2.